« Falling for You on USA Today’s HEA Blog!! Falling for You needs your VOTE!! 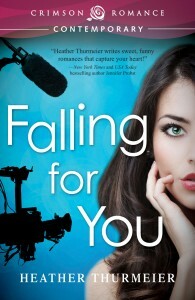 Falling for You is part of the Sizzling Hot Cover Contest and I need your VOTE!! Come on, isn’t my cover beautiful?? But you have to go vote NOW! The polls close on Oct 3! Have I used enough exclamation points yet?!! Voted for you. Good luck. Thank you, Sue!! I really appreciate it!